Are you just like 99% of pet owners? If you’re tempted to reach for spot-on flea treatments, here’s why you’ll want to be one of the 1% of people who never touch them! It can be tempting to use toxic chemical products to eliminate fleas … but it can be done using natural methods and a little persistence. The most important factor in preventing fleas from taking over your home is your dog’s overall health and immune system. A healthy dog will naturally repel parasites and fleas will seek weaker animals who are easier targets. Always feed a natural diet and never vaccinate or use drugs or chemicals on your canine friend, either internally or externally. Also avoid chemical cleaners in your home and never use pesticides or herbicides in your yard, as these products will also impact your pet’s immune system. I also advise consulting with a classically trained veterinary homeopath to evaluate your dog for any signs of chronic disease. Hereditary or miasmatic conditions are common in over 90 percent of all domestic animals. If your dog shows symptoms of chronic disease, homeopathic treatment can help improve his health. A healthy dog will naturally repel parasites and fleas will seek weaker animals who are easier targets. The second part of the puzzle is the environment. If the energy of your home has any disharmony in it, this too can make your dog anxious and weaken the immune system. Try to make sure everyone in your household is as content as they can be; encourage your family members to be open with each other so your dog doesn’t stress over his concern for you. I often have my clients make a mixture of the Bach flower essences walnut, crab apple, holly, wild rose and wild oat. Spray it around the house to help detoxify negative energy from the environment. Fleas are highly productive; a pair may produce 20,000 fleas in three months. Eggs hatch after two to 12 days into larvae that feed in the environment – generally on digested blood from adult fleas and other food matter. The food required at this stage is microscopic, and even clean carpets often offer plenty of food to the larvae. The larvae are little wiggles about three or four millimeters long; you may see some if you inspect your pet’s bedding carefully. Larvae molt twice within two to 200 days and the older larvae spin a cocoon in which they remain for one week to one year. When in this cocoon stage the young flea is invulnerable to any kind of insecticide and to low, even freezing, temperatures. Only sufficient warmth and the presence of a host can cause them to emerge. This long cocooning period explains why fleas are so difficult to eradicate. To get rid of fleas in your house, you must break this cycle. As a practical matter, this means you’ll almost certainly have to repeat your flea elimination efforts a few weeks apart to catch the fleas from the larvae that didn’t get destroyed the first time around. This is also why it is essential to address the problem of the eggs and larvae as well as the adult fleas. It’s not enough just to rid your dog of fleas. Fleas don’t spend all their time on your dog, but will hop on when they need a meal. The eggs can be shed anywhere your dog spends time – including your own bed, if you share it! Your house and yard must also be treated to prevent reinfestation. To get rid of fleas on your dog, a soapy bath with any natural shampoo will kill them on contact. You can also place several drops of lavender and palo santo essential oils into a chemical free shampoo to prevent and kill fleas (as well as ticks). I have even used natural dish soap and find it kills them as well as anything. Use a flea comb soaked in soapy water several times per day after the initial bath, until your friend is flea free. Once your dog has dried off after his bath, spray him with a mixture containing one drop each of the essential oils lemongrass, lemon, cedar and RC (a Young Living blend) per ounce of water. You can also spray him with this solution to repel pests any time he’s going into an area that is flea, tick or mosquito infested. Use a yard hose sprayer with two ounces of dish soap and 10 drops each of neem oil and red cedarwood oil to kill adult fleas in your grass and areas where your dog plays or lies. I recommend doing this once per week during the flea season. Do not spray succulent plants with this mixture because it may harm them. You can also order Wondercide, which makes cedar oil products for use on your yard, as well as your dog and home. In my experience, steam cleaning a rug will kill all of the adult fleas immediately. When the carpets are completely dry, put a mixture of one part Borax salts to three parts table salt and rake it into all carpeted areas of the house. Leave for a week and then vacuum very thoroughly. Pay attention to cracks in the floor where eggs may have been laid. Dispose of the vacuum contents by burning or placing them in a closed plastic bag in the outdoor trash so that the eggs don’t hatch in your broom closet! To help eliminate the eggs, add one teaspoon of wintergreen essential oil to a quart of hot water in a mist sprayer. Then mist carpets, upholstered furniture, pillows and other places where flea eggs can hatch. The mist will not kill fleas but it will kill the eggs. Spray about three times a year. The odor goes away in a few days and you are safe for months without the danger of pesticides. Since oil of wintergreen is used on babies, I do not believe it can hurt cats or dogs when used like this in their environment (and not directly on the animal). Remember that carpets, rugs, and upholstered furniture are the prime places for depositing flea eggs. It’s a drastic measure, but some people have success ridding their home of fleas by removing their carpets and replacing with tile or hardwood floors. Another very old, safe method of removing fleas is soapy water under a light bulb. Hang a light bulb one foot above a low container about a foot wide and two to three inches deep. Add at least an inch of soapy water to it. The fleas will jump to the light and fall in the soapy water. You will need to move it around about five feet a day or have several traps in the areas where your dog hangs out and sleeps. You can use these traps indoors, as well as outdoors in damp or shaded areas where fleas proliferate – under porches, decks, carports, at the edges of woods and especially in places where your pets lie down outdoors. Place several drops of lavender and palo santo essential oils into a chemical free shampoo to prevent and kill fleas. The most important thing to remember when you are dealing with fleas and ticks is to be patient and persistent. 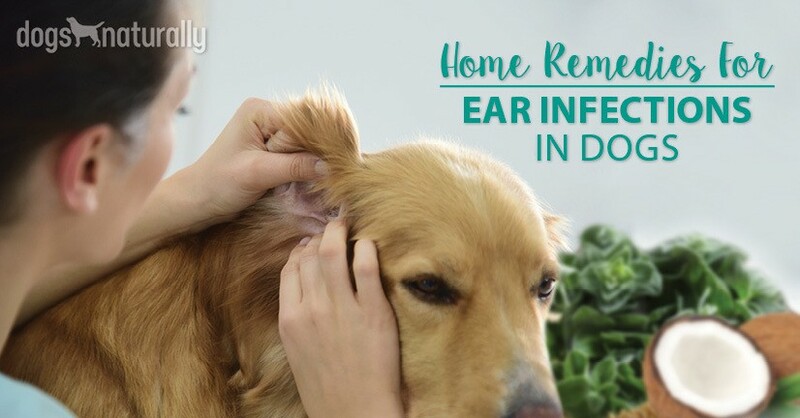 It can often take weeks or several months of repeated treatments to completely rid your dog, home and yard of these parasites using natural means. You may get frustrated and be tempted to use chemical products, but I urge you to stay the course and avoid using chemicals at all costs. The chemicals used for fleas, ticks and lice are either neurotoxins or carcinogens – or both. The topical spot on products are absorbed transdermally and are not only dangerous for your dog, but can also be absorbed by any member of your family who comes in direct contact with your pet after these chemicals have been placed on their skin. If the package warns you to wear gloves and not get it on you or any member of your family, it is a red flag and you should also consider it unsafe to use on your canine friend!